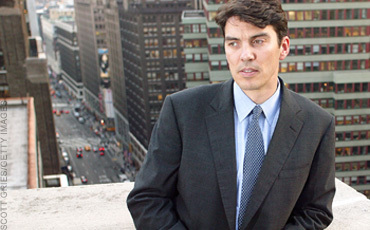 Tim Armstrong is hoping Yahoo shareholders can see the value in merging AOL with Yahoo to create a massive content company. According to a Reuters source Armstrong believes selling AOL to Yahoo could save the combined company’s $1.5 billion in operating expenses annually. News of the potential AOL sale to Yahoo comes during a time when Yahoo is said to be looking for a buyer of their own. Armstrong believes the company’s could save money by combining data centers and eliminating duplicate news sites from the sports, entertainment and finance operations at AOL, Inc.
Armstrong in his presentation to shareholders said the massive number of pageviews provided by the merger would create a “more attractive” option for advertisers. Neither company involved in the discussions are commenting on the possibility of an AOL buyout by Yahoo. Personally I don’t understand how combining two failing brands would have the desired impact shareholders desire. The Huffington Post for example serves a massive number of ad spaces and they are unable to reach “full fill” for those spaces. Do you think combining Yahoo and AOL into one mega-content company would help turn around Yahoo stock prices and satisfy shareholders?